We went up north for the weekend to check on the progress of our cottage we are building there. It is exciting to finally see something concrete (pardon the pun) after all these months and months of working things out on paper. 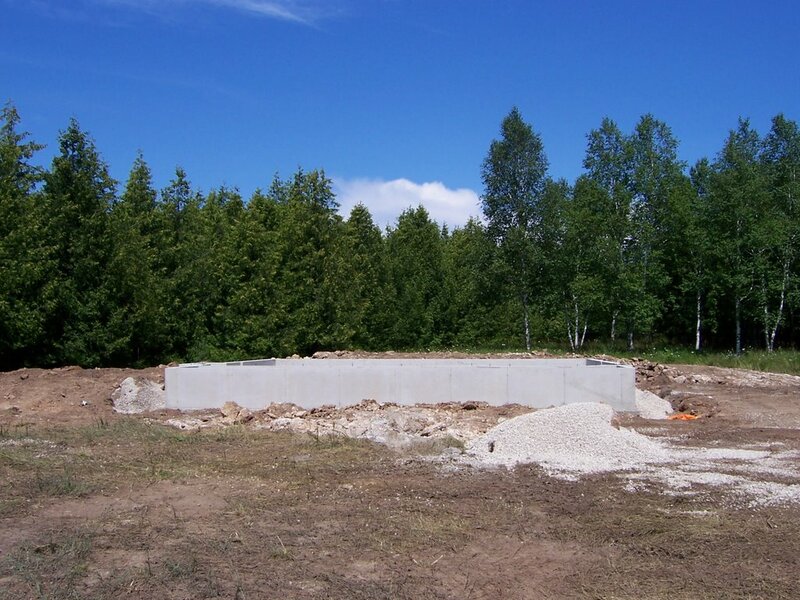 Below is a picture we took 2 weeks ago when the foundation was poured. 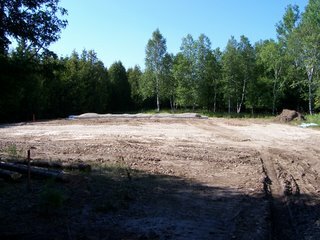 Then we took this picture on Friday which shows the foundation has been back-filled and the rough grading is completed. Suddenly the property looks smaller now, however we do have another 6 acres beyond the tree line so the shrinking size is really just an illusion. We met with the building coordinator and the interior coordinator to pick out our colors and finishes. Lots of decisions to be made all at once, but I have been researching this for a long time so it wasn't too painful of a process...which is saying alot since I am the world's worst decision-maker! I am hoping to be able to get back to my artwork again this week. I am itching to sit at my desk and play with some paint, paper, glue, and whatever else I can get my hands on. What awesome looking land..can't wait to watch the progress :) I'm behind in my blog reading and I see you have a lot of beautiful things you've made!